We are all familiar with the books of Jane Austen, spend rainy Sunday afternoons swooning over Mr. Darcy and wish we could step into Elizabeth’s lucky footsteps. 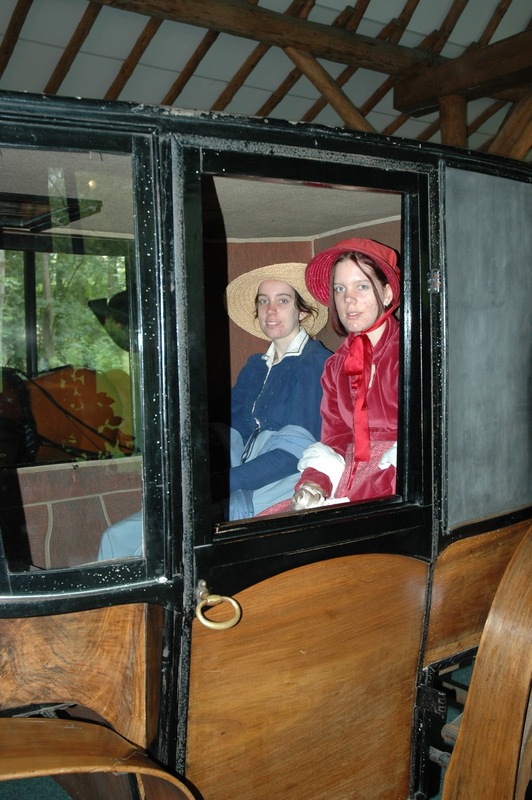 Now, you might not get to meet Mr. Darcy, but reenactment allows you to travel through time and enter a different life. Events are held all across the world where people indulge in this strange hobby. So, what’s the appeal? 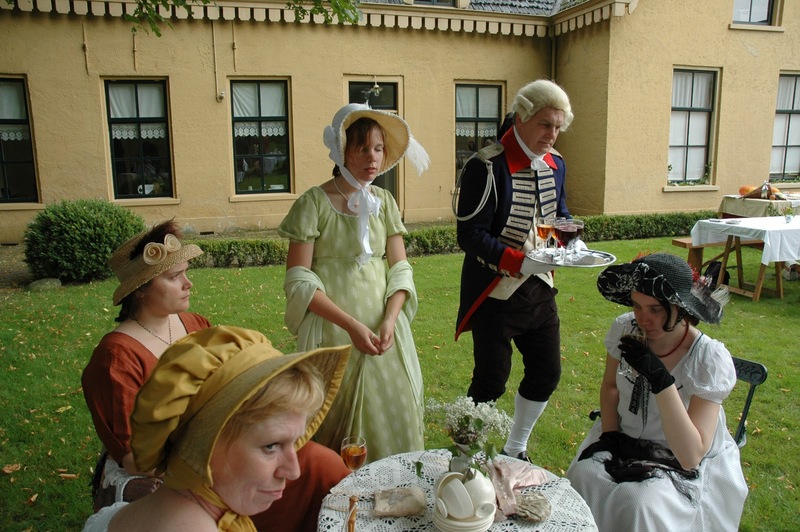 As an experienced regency re-enactor I will share some of my experiences and photographs with you. I first heard about the society through my aunt, who co-founded it after experiencing a lack of civilian re-enactment groups. Many people were interested in the period itself rather than the military element. 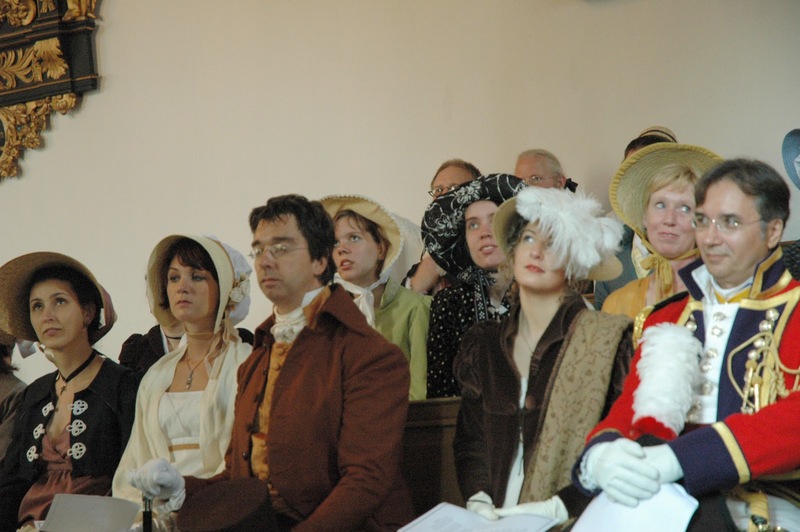 From the desire to demonstrate middle-class regency life, the society was born and quickly, my whole family joined. 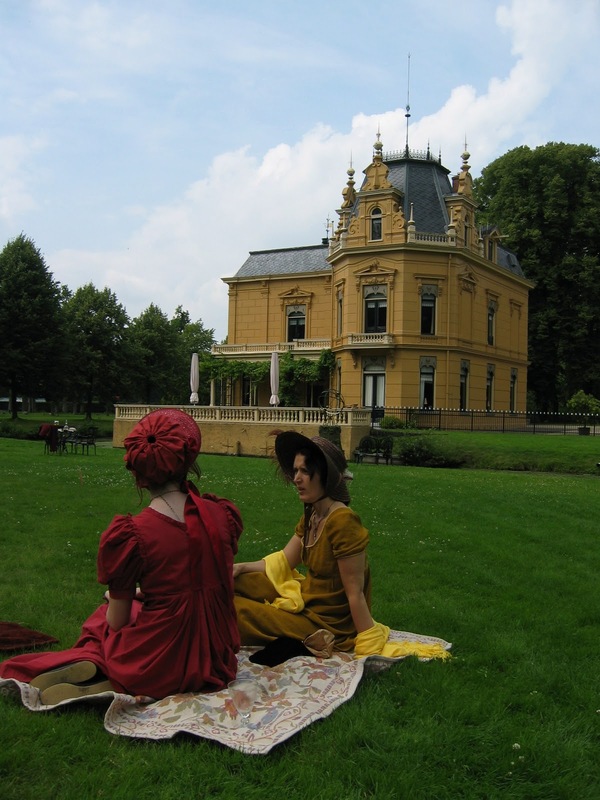 Made up of period piece enthusiasts, it was no difficult task to convince them. 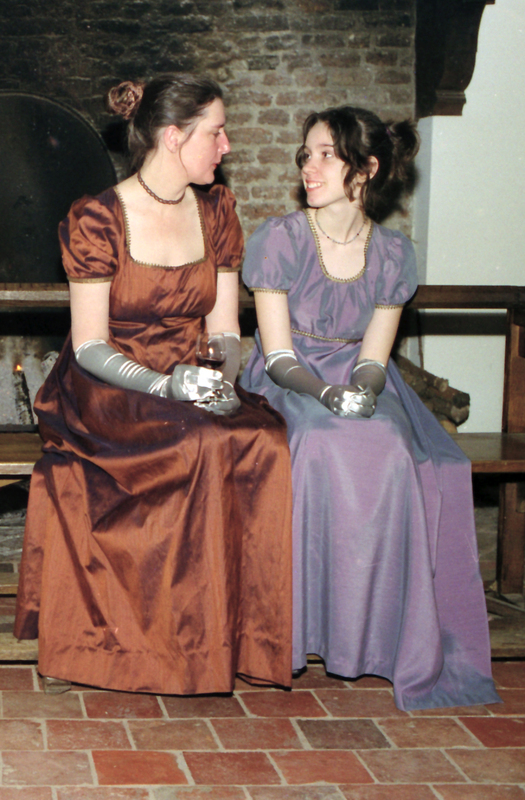 I was only twelve years old when I attended my first event – a ball in a real castle! · You are in charge of your own costumes. Although members might let you borrow a gown or two when you’re just getting started, there are patterns available from the period so get your sewing kit out! I can tell you in advance that recreating a historical costume takes a lot of work, patience and fitting. You wouldn’t be the first one to cut off the wrong part or sew something on backwards. 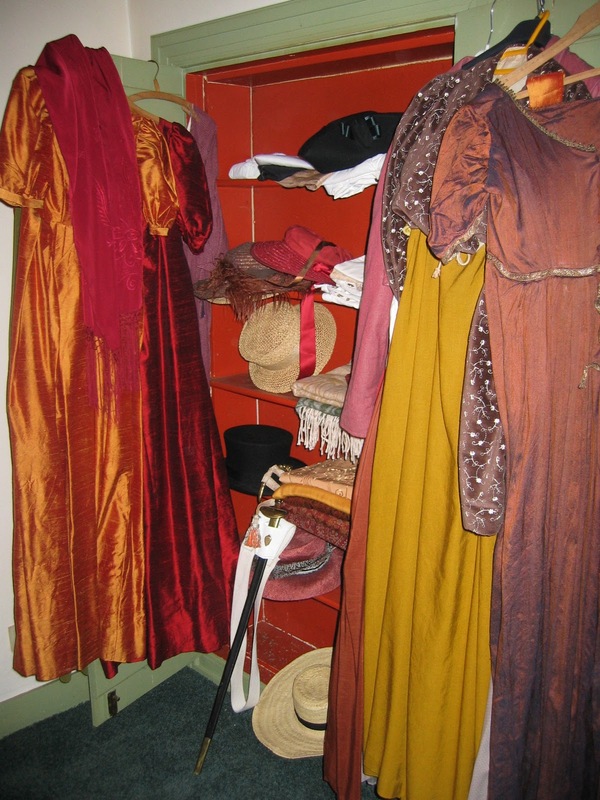 Through experience, you will become more proficient in creating your own historically accurate outfits. Just do some research on fabric and colour. I’ve seen one too many ladies in dresses that reminded me of Barbie goes to Prom. · Events can take place internationally so depending on your location and commitment, there will be some travel expenses. You will need to bring your costume and accessories, food, etc. You’ll need a car to get all your stuff safely (and in good condition!) to the event. · Read, research, refine. 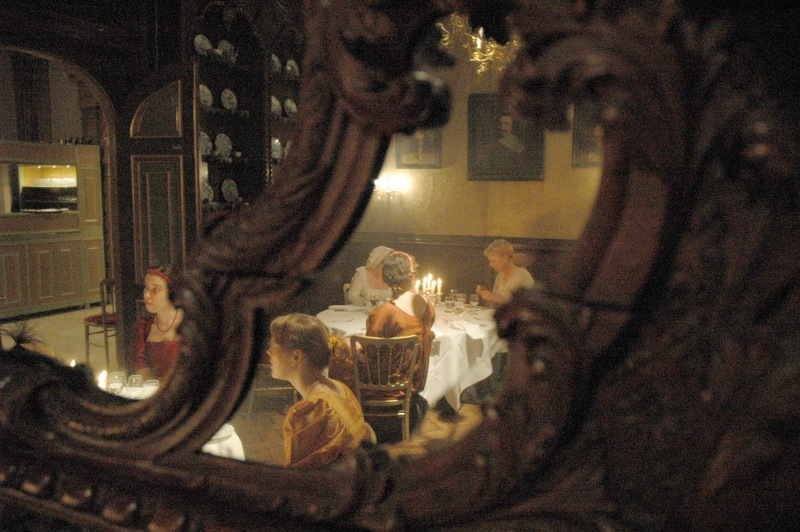 If you’re going to portray someone from another period, you will need to know how they talked, sat, acted and so on. 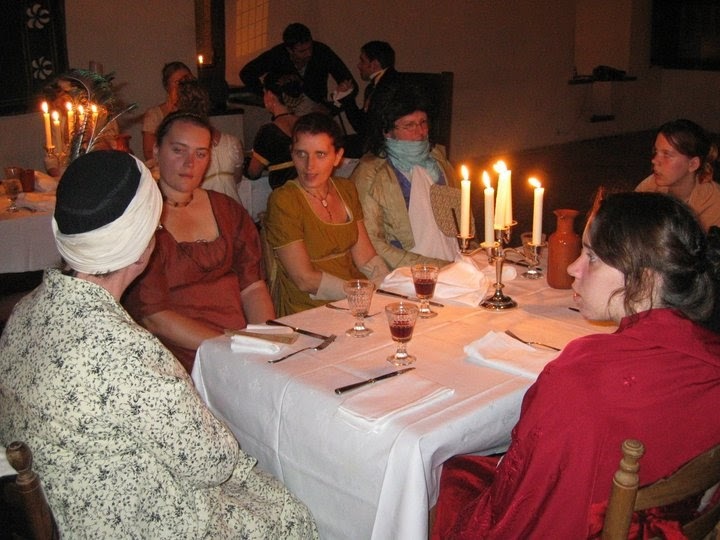 Familiarise yourself with the etiquette and the history of the period so you know what was going on in the world. There’s another excuse to re-watch Pride and Prejudice or Persuasion. · Dancing lessons. 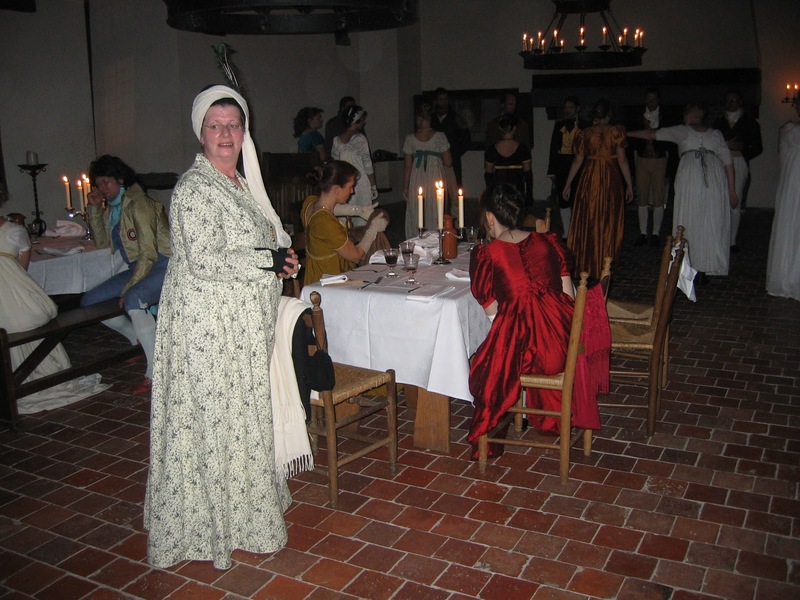 If you want to actually dance at a ball, you will have to take regency dancing lessons. It’s my favourite part of the experience. Mastering the dances takes a lot of time and energy. During every dance rehearsal we had several moments were we said: “Wrong way, Mr. Collins!” I know of several regency dancing troupes in the U.K. so that is something worth checking out. 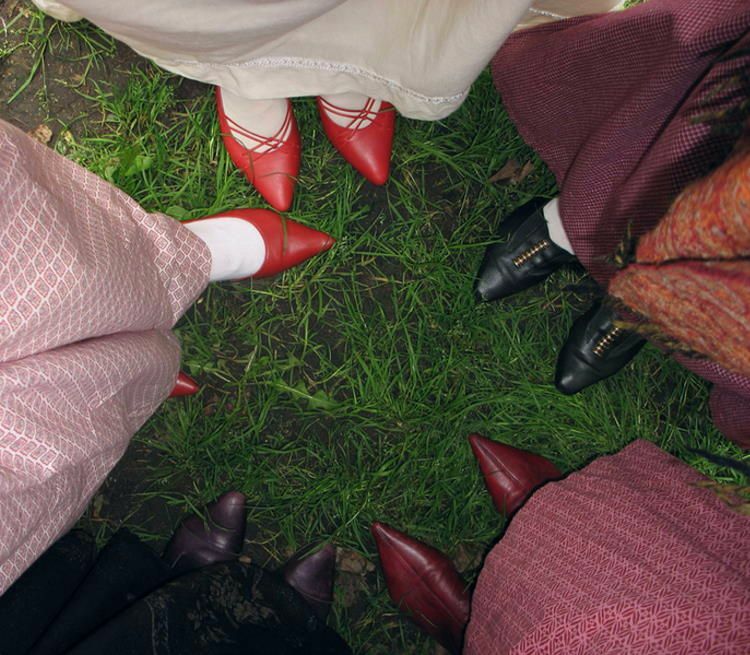 And just think, next time you’ll watch a period drama on the BBC, you’ll be able to pinpoint what dance they’re using and trace their footsteps to refresh your memory. If you have the time and money to invest in this hobby, I highly recommend it. Through my society, I attended balls, picnics, hunting parties, historical weddings and battles. 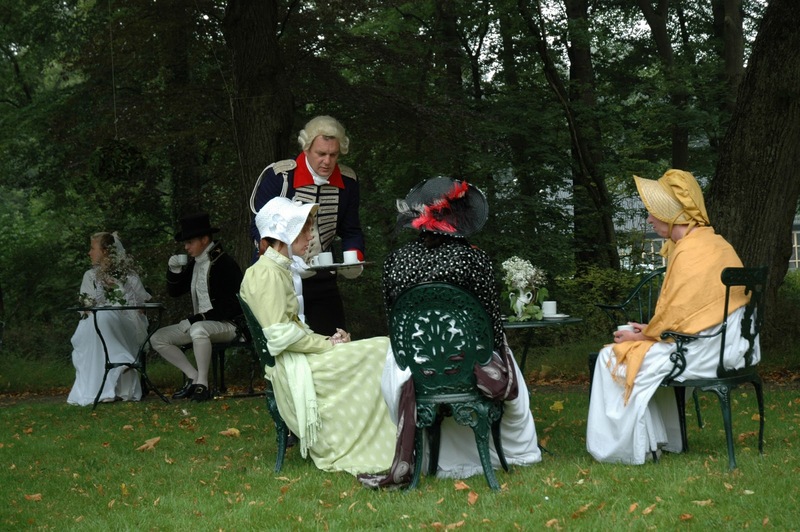 We cultivated idleness and sipped tea for an audience while the men engaged themselves in sport (shooting, for instance). 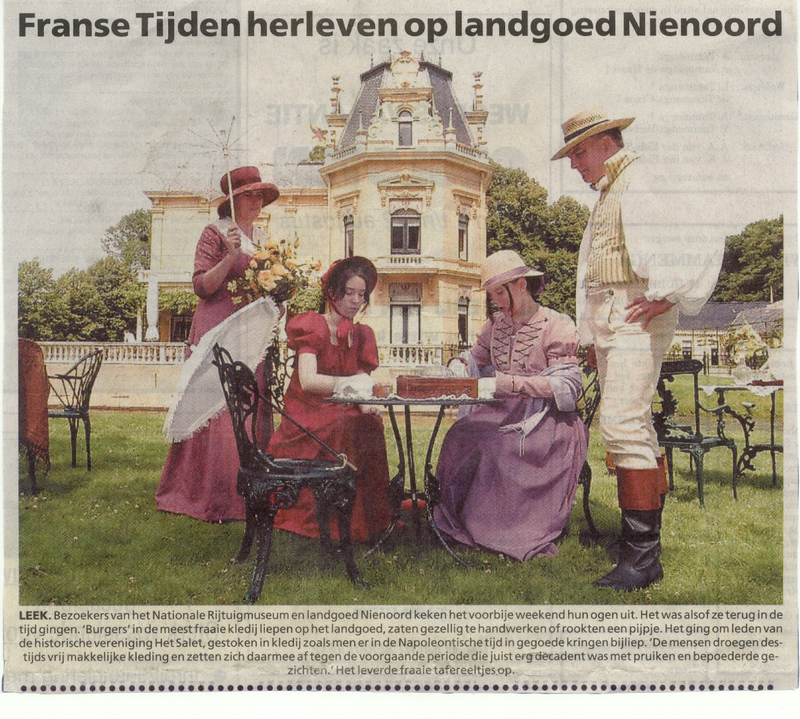 The ladies drew, read books, played old-fashioned games and wrote letters. I’ve also tried fishing at one of the events but there were no fish to be caught. I suppose it wasn’t the season. This hobby also has a bit of a theatrical aspect. We sometimes staged scenes, including public arguments between different groups/classes of re-enactors. To make matters easier, we decided on a character to play for the duration of our membership. 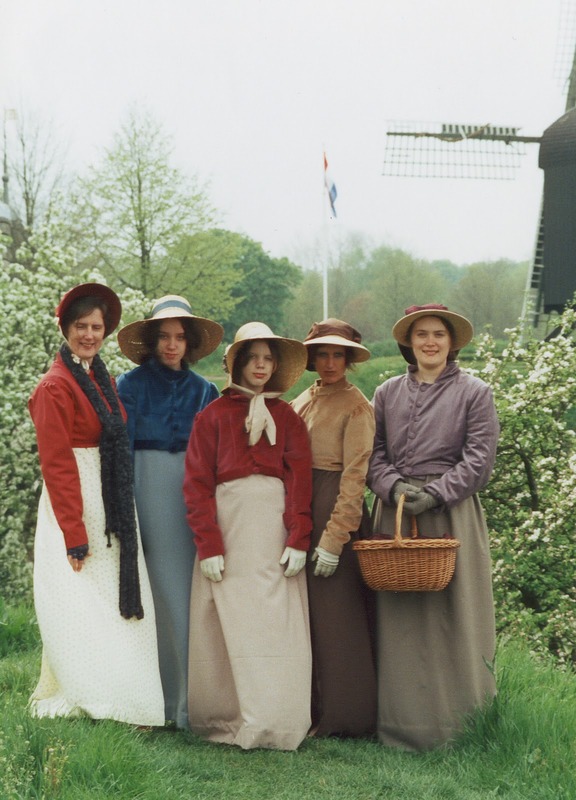 Because my mother, sister, both aunts and uncle were all members we created a regency family so we could still be related in our new fantasy world. Under this regency name, I wrote diary entries. It gave me my first taste of historical fiction and I enjoyed it immensely. Our society also had a magazine with useful tips and information, interviews, recipes, etc. If you have any questions, please let me know in the comment box and I will get back to you. Harley Manor was all aflutter that morning – the maids whispered of intrigue and bachelors. As usual, they were right. There was quite an uproar in the Hamilton residence – the eligible Mr. Sharpe had unexpectedly come to call and Audrey sat in the drawing room immaculately groomed and with all the awkwardness in conversation her pestering relations invariably inflicted through their incessant encouragements. Although Miss Hamilton was of good family, education and sense, her mother had never regarded her notions concerning her marital state as of any consequence. Her disinclination to marry had been discarded as a folly of youth but as the years passed and she reached the age of two and twenty, she gained a reputation as a bit of a spinster. But Audrey simply enjoyed the peace and quiet. She was a spinster without the characteristic lack of charm and means. Quite the contrary, when in her element and left to her own devices, Audrey could be described as lively, pleasant and sarcastic, though agreeably so. But with her mother looming over her petite figure, her personality shrinked in response and she grew taciturn, reserved – closed. Mr. Sharpe, fashionably dressed and in possession of a fine pair of sideburns and brooding good looks, was received cordially, even graciously by the lady of the house. But as for the heiress of the family, she cast him simply indifferent looks and longingly glanced outside, filling his imagination with visions of Miss Hamilton engaged in all sorts of active employment such as horseback riding and archery. He sensed that her mother’s presence affected her disposition and became only curious to learn more about his unwilling hostess. “You live very comfortably. I daresay you spend your time tolerable well here,” he said in an attempt to gain access to the inner workings of her mind. When the daughter gently sighed at the poor excuse of conversation, the mother took over. “Oh, yes! It is very good of you to call and you are most welcome here. I shall certainly add you to the guest list of our little ball,” Mrs. Hamilton remarked nonchalantly to steer the conversation toward a more intimate setting for their acquaintance. “A ball? How delightful. And when will it take place? I have heard little about it,” James Sharpe observed, having in truth heard nothing at all. Audrey roused herself from her thoughts to amuse herself by acting the part of the huntress. “It is a great secret and you are the first to hear of it. You will come, won’t you?” she batted her eyelashes and moved her fan to and fro to assume a more delicate manner befitting her new part. Josephine nearly squeaked with delight but covered up her pleasure by smiling generously at her tapestries.James shared her love for the theatre and quickly recognised the game she had entered and promptly followed suit. Audrey could barely contain her coquettish expression and smiled. “Well, then I suppose you are the first confirmed guest. How marvelous. We must instantly look to the seating arrangements to accommodate Mr. Sharpe,” she informed her daughter. “You may seat him by me. There is nothing so stimulating as dinner table conversation. We shall bond over such subject matters as who wears the best pair of breeches and who tripped over his feet on the dance floor,” she airily suggested, having only in mind her intention to avoid Mr. Beckham. Horrid man. Josephine, quite oblivious to her ill-founded dislike, deduced from the remark that her daughter had taken a fancy to a man at last. And an eligible bachelor, even! How splendid! To Mr. Sharpe this merely meant he had now entered a more friendly sphere in Miss Hamilton’s acquaintance and as he had no mercenary interest in the lady, he sought only to widen his social circle in seeking out her company – which was said to be entertaining and prone to diverting remarks. “I shall look forward to such a comparative study,” he assented, much to everyone’s satisfaction.